Corboy & Demetrio partner Thomas A. Demetrio has been named to “Who’s Who in Chicago Business” in profession of law by Crain’s Chicago Business magazine for 2012. Tom Demetrio, a co-founder of Corboy & Demetrio, is a trial lawyer with an emphasis on medical negligence, airplane crashes, product liability and commercial litigation on behalf of plaintiffs. He is Past President of the Chicago Bar Association and Illinois Trial Lawyers Association. 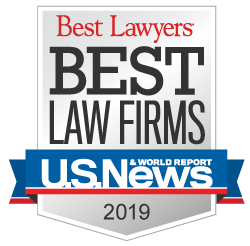 Demetrio has been listed in Best Lawyers in America since its inception in 1987 and was named by Best Lawyers as the Chicago Medical Malpractice Lawyer of the Year for 2011. The National Law Journal has named him as one of the Nation's Top Ten Trial Lawyers and subsequently listed him as one of the top ten trial lawyers in Illinois. Since 2003, Demetrio has been voted by his peers in the top ten of the top 5% of all lawyers in Illinois, and has been named in the top five of the state's 80,000 lawyers since 2007. In addition, Tom Demetrio is a fellow The American College of Trial Lawyers, which comprises the top 1% of trial lawyers in U.S.; The International Academy of Trial Lawyers, which comprises the top 500 trial lawyers worldwide; and The Inner Circle of Advocates, which comprises the top 100 plaintiff trial lawyers in United States. Crain’s Chicago Business compiles the annual list of “movers and shakers” in Chicago, and the magazine relies on its reporters and editors to compile the list without a nominating or lobbying process.